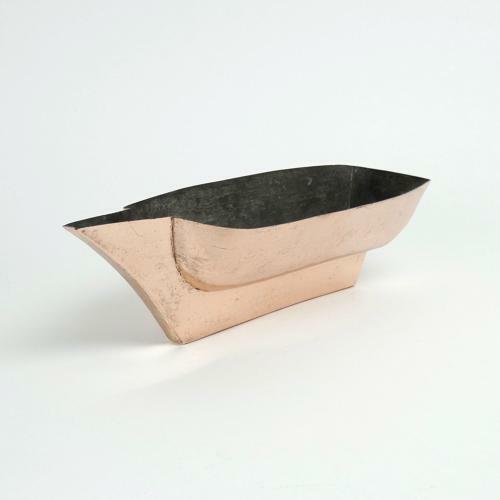 A rare copper mould in the shape of the hull of a boat. This piece is marked 'TROTTIER FNT PARIS' within a circle and it dates from c.1870. We have never seen a mould of this form before. It was probably for nougat or ice and would have been used as part of an elaborate table display. It is made from a substantial gauge of copper and has been made from two halves which are joined together by a castellated seam. It is in excellent condition. The tinning, to the interior, is dark but it has not worn through.